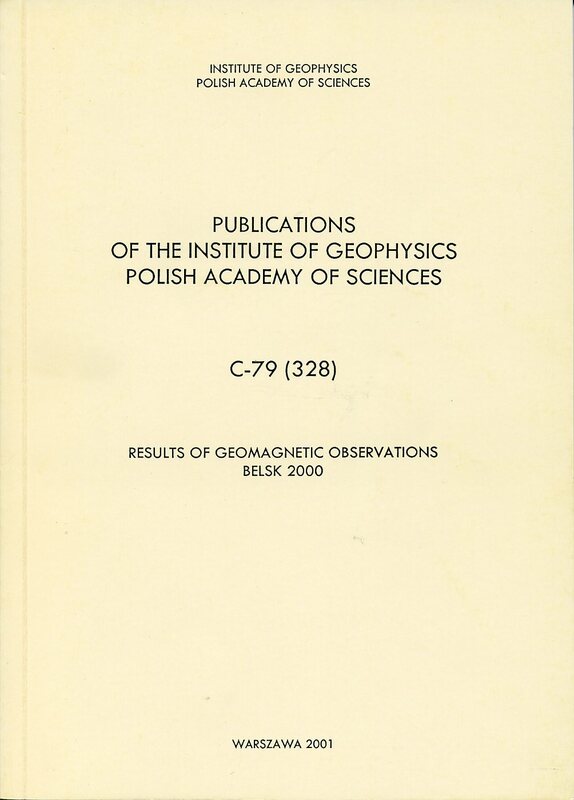 This volume contains the results of observations of the Earth magnetic field for the year 2000, carried out at the Geophysical Observatory at Hel near Gdańsk. It is a consecutive twenty-fourth report of similar results published since 1966. 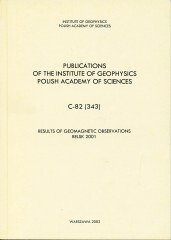 This publication contains results of geomagnetic observations performed in 2000; it is a consecutive, thirty-fifth issue in the series of yearbooks listing observations of the natural magnetic field of the Earth at the Central Geophysical Observatory at Belsk. The gist of the study of the Earth's interior is to make observations of natural physical processes at the surface and then to construct such models of the structure that would explain the observations in the best way. It is only in the case of the crust and partly the upper mantle that we are able to artificially generate phenomena to get information about their structure. Thus, unlike in other natural sciences, we cannot use repeatable experiments designed to study the nature of a specific phenomenon.